Slack’s community is very tight knit community, and those who use it all have their own opinions on the internal communications software. Part of what makes Slack such a powerful tool is the flexibility it offers its users when it comes to api-powered integrations. Many of those users — especially business software providers — take the time to develop apps for Slack users that will make their lives much easier. Many of these apps are built around simplifying the marketing strategy through the use of AI-powered automations, productivity features, organization features, and integrations with other software. Some will help businesses make their omnichannel marketing strategies easier to implement. Here we’re going to discuss the twenty-five best Slack bots to improve your marketing in 2018. Each app we have below will improve your business’ marketing strategy significantly without ever having to leave Slack. Let’s get started. Dealbot is a Slack bot sponsored by Pipedrive which helps Slack users primarily with leads and deals metrics. More specifically, Dealbot can coordinate with multiple agents, track deals won, completed, and search for deals, specific people, and organizations without leaving Slack. Being on Slack also allows other users to jump into deals and make coordinated efforts to market and land deals. 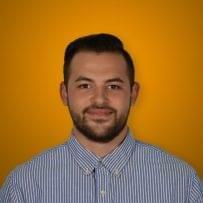 Insightly Assist, as the name suggests, works with Insightly CRM to bring customer data to Slack. It can respond to natural language requests thanks to machine learning software so Slack users can get contact info for leads and opportunities. Insightly can also add contacts, leads, opportunities, and notes, as well as set reminders for agents. Statsbot is another Slack bot with a sales influence, but this one differs in the sense that it focuses more on metrics, rather than improving sales. Marketing teams need to have a steady stream of up-to-date numbers in order to adapt their marketing strategies accordingly. Some of these include Google Analytics, SQL, Stripe, Salesforce, and Mixpanel. It also comes with machine learning features to help marketing teams make better sense of the buying patterns leads and customers have. GrowthBot has powerful marketing integrations with HubSpot CRM, Google Analytics, and MailChimp that make it easy for marketing teams to gather customer reports and metrics directly on Slack, and they can use MailChimp to deliver their email marketing campaigns.They also need to be able to see what their competitors are doing, and GrowthBot can do just that on Slack. Slack users can simply ask GrowthBot what a company is up to by asking, “What are X’s sales number this month?” thanks to natural language processing. 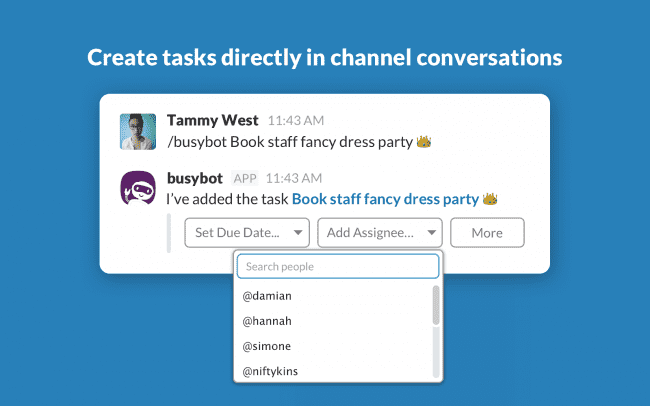 Busybot is a Slack bot geared towards productivity, which is also an absolute essential for marketing teams. In order for marketing teams to be effective, they need to have those numbers and metrics organized in a way that makes them easy to read and access. Slack users can simply as the bot to schedule meetings, set reminders, and send direct messages to the bot to assign tasks to themselves. Each agent will also be sent reminders for due dates, which ensures tasks are completed on a steady basis. Eventbot, as the name suggests, is another calendar bot for Slack users, where they can create events directly in Slack. Timing for campaigns and other forms of outreach are important for marketing teams to get down because even small holdups can have lasting effects that can completely change the outcome of marketing campaigns. It also integrates with Google Calendar, Apple Calendar, and even Microsoft Outlook, so users can access that info on Slack quickly without having to go back and forth between programs. 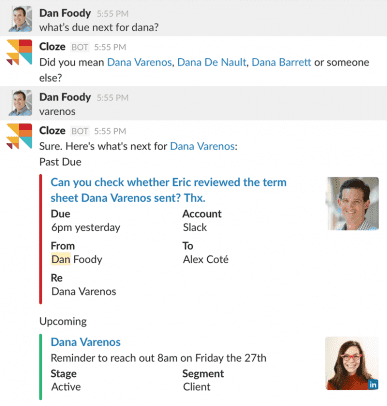 Cloze is another productivity-centered Slack bot, but for Slack messages specifically. 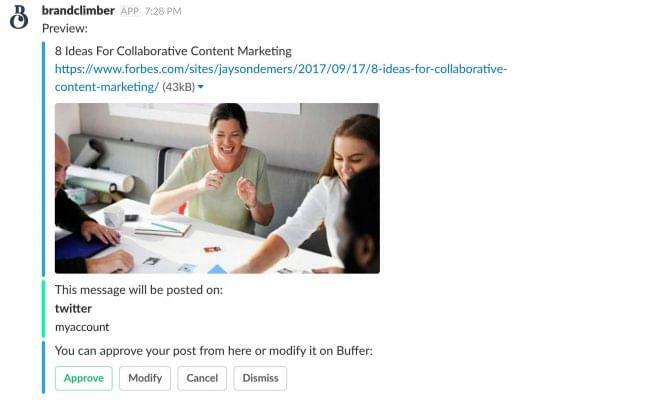 Marketing teams that already use Slack on a regular basis can use Cloze to organize messages and files by people, companies, projects, and deals that they relate to. They can also view their entire Slack history including phone, email, and meetings.This is important and particularly useful for businesses who’ve been using Slack for a long time and want to dig up important information from years ago that may no longer be accessible. Nuzzle is a great Slack bot for marketers interested in receiving customized briefings on the latest news and trends on social media. 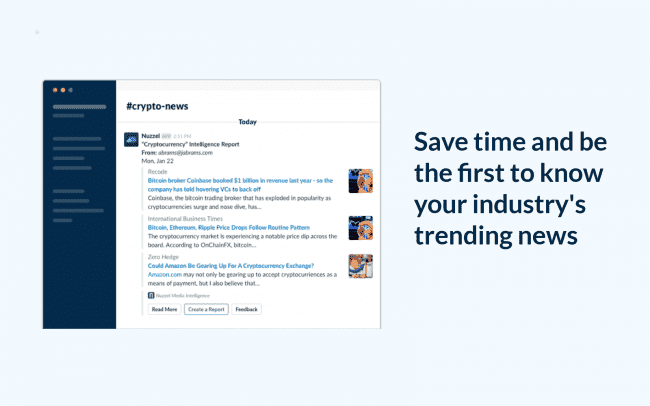 Users can obtain industry insights and help share the latest industry updates before anyone else. Nuzzle continuously tracks whatever the Slack user asks it to track, which is also helpful for marketing teams because marketing strategies have to stay consistent with what brings in the most leads, opportunities, and customers. Trends on social media tend to change at a rapid pace, so marketing teams need to take advantage of tools like Nuzzle that won’t let them fall behind. Marketing teams will benefit from Reveal because it caters specifically to ad campaigns on Facebook, Twitter, Youtube, and Google AdWords, which can all be accessed directly on Slack. For example, users can set rules for Facebook ads and Reveal will automate them. Afterwards, they can ask Reveal Bot specific questions about the ad performance. There’s no guessing how people will react to an ad on any given day; however, that doesn’t mean marketing teams should just give up. Agents can detect long-term patterns and make judgement calls based on this data. Glance is a data management and scheduling assistant, but with powerful CRM and social integrations. Marketing agents can ask about Google Analytics data and customize triggers for rising and falling metrics. Integrations include Instagram, Facebook, LinkedIn, Twitter, Google Analytics, Zendesk, Campaign Monitor, Twitter, Mailchimp, Shopify, WordPress, and Surveygizmo. 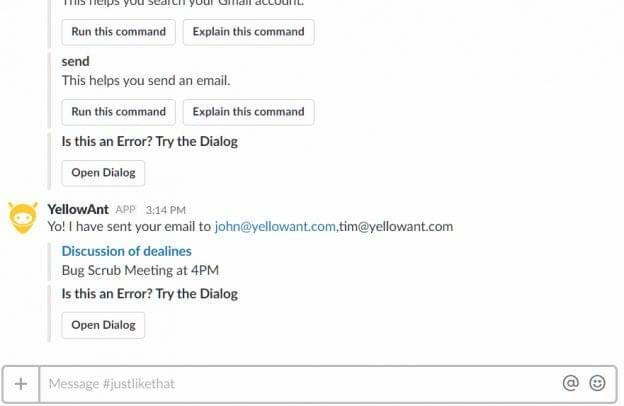 YellowAnt is an AI-powered Slack assistant with command-triggered automations. It comes with tons of features and integrations useful to teams who use marketing CRM software in a number of ways. Agents can use YellowAnt to send emails, search for contact data on Salesforce, Shopify, or Marketo, create and resolve tickets on Zendesk and Freshdesk, look for Asana tasks, add notes to Evernote, integrate with Google Calendar, search contact lists, and even tweet — directly from Slack. It goes without saying that this is one of the few Slack bots that truly does it all, and everything it does will actually leave an impact. PushMetrics is a Slack bot that helps Slack users manage key reports on sales forecasts, products, performance, and order details. 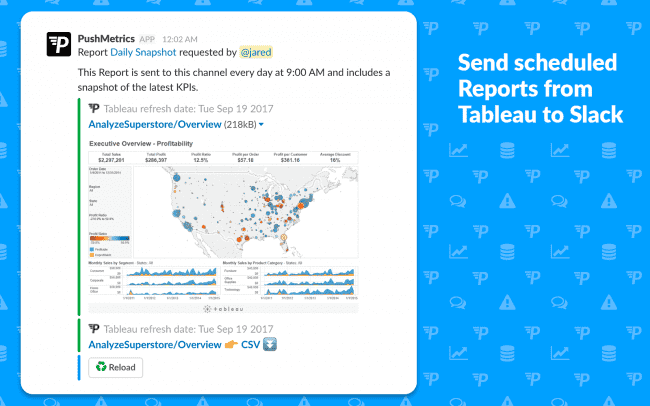 These reports are shareable on Slack and integrate with Tableau to make them automated and scheduled. Marketing teams will appreciate PushMetrics because having as many detailed reports as possible will help them develop a more well-rounded overview of their leads, opportunities, and previous customers. 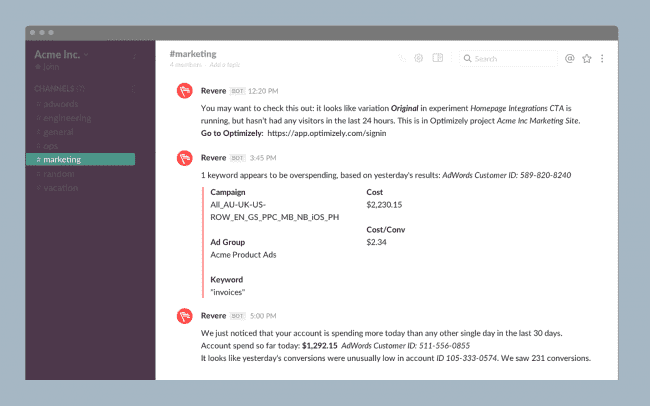 Revere is a performance-monitoring Slack bot for marketing teams interested in monitoring how well their social media ads are doing. Users can receive notifications for Google Analytics, AdWords, Bing, Facebook Ads, and Optimizely accounts. What makes this bot so unique is the fact that it will not just monitor how well your business’ ads are doing, but if you’re overspending on ads, if conversions seem low, when tests are ready to be looked at, and when campaigns have launched. 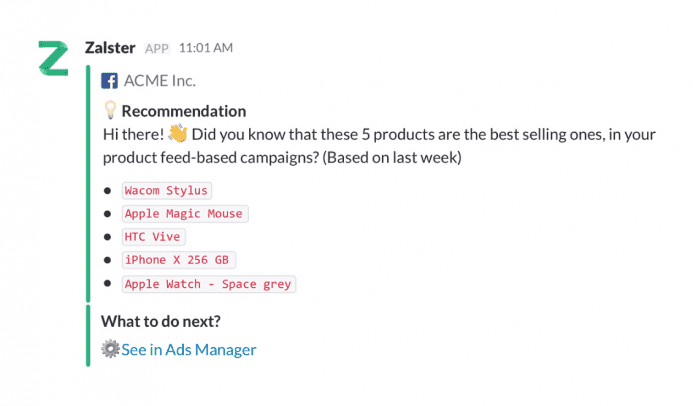 Aiden is an AI-powered marketing analyst Slack bot that can help with Facebook ad campaigns. It’s features list is extremely impressive. Aiden has natural language processing technology that allows Slack users to speak to it like any normal person and it will understand everything. Aiden keeps an eye on reports and possible overspending 24/7, too. What really makes Aiden stand out is the fact that it can generate charts, PDFs, and Excel tables. This improves the user experience in ways other bots can’t. 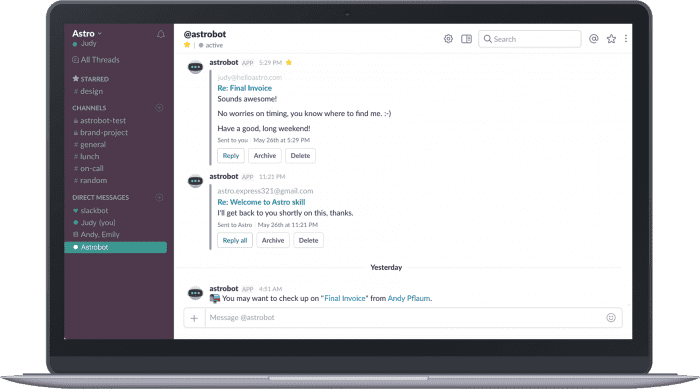 Workbot is another Slack bot that jumped out to us because of its CRM integrations. It works with Workday, Salesforce, Zendesk, Github, JIRA, Confluence, Bitbucket, Okta and 1000+ other companies. 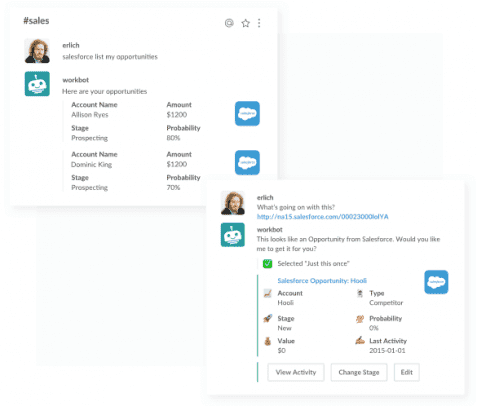 Users can execute approval workflows within Slack, connect people, bots, and tools in an automated workflow, and work with support, CRM and developer systems right from Slack. Workbot is an excellent option for businesses who simply want their Slack bots to make the user experience more seamless. Working remotely is a significant business trend in 2018, so it makes sense for Slack users, whose goal already is to make communication between agents regardless of location easier. Suttna makes it even easier for teams to communicate with remote agents. 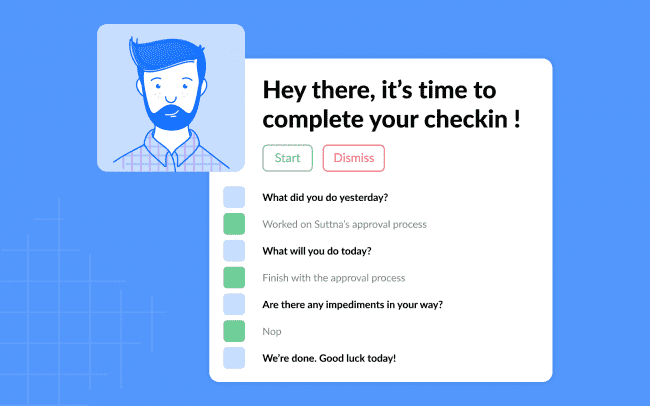 Users can automate their team’s daily status reporting using check-ins on any channel, as well as customize what questions to ask and when to ask them that fit in with the business’ normal workflow. 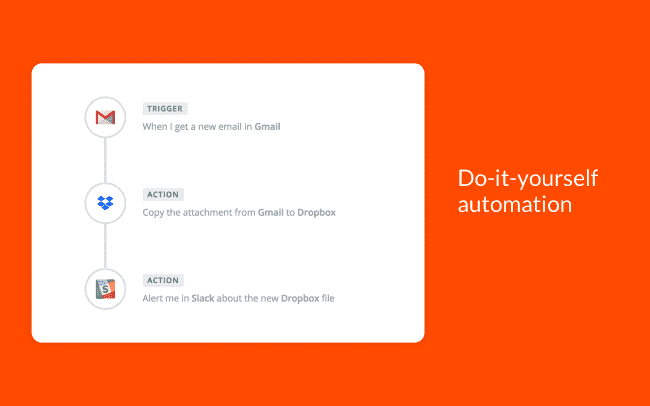 TaskOnBot is a project and task management bot within Slack. Tasks can be created within Slack, so users don’t have to switch back and forth between Slack and another task management software like Asana or Trello. This is important for marketing agents because tasks have to stay organized in order to be effective. 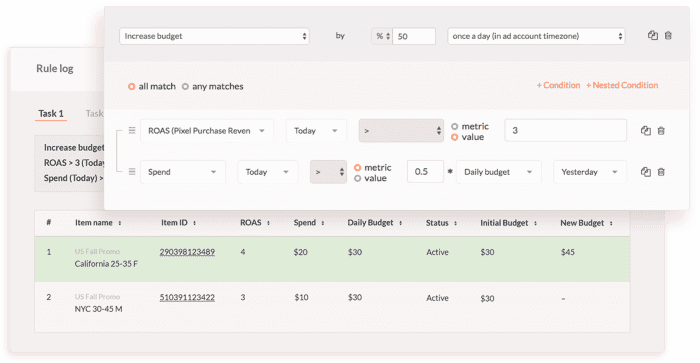 Users can attach due dates, get a dashboard with analytics for unlimited users, export team reports, and mark tasks as complete. SnippetsBot is a unique project management Slack bot for marketing teams because it requires agents to stay connected with each other with reminders and notifications when due dates for projects are coming. SnippetsBot will also remind agents who haven’t submitted their work for the week within hours of the deadline so no one forgets. Finally, at the beginning of the week, SnippetBot will collect everyone’s submissions and organize them into a report that gets sent out via Slack direct message. 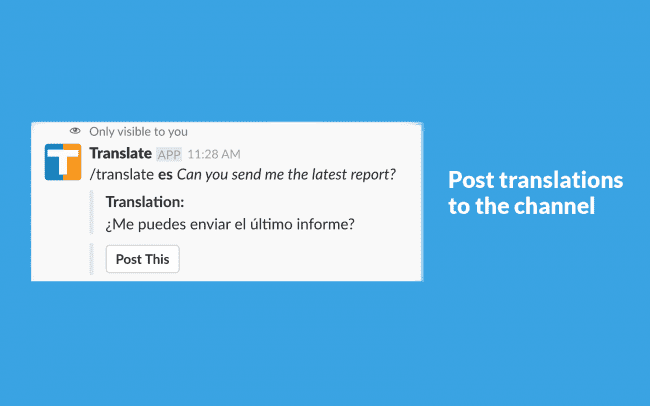 Translate, as the name suggests, can translate text into different languages in three ways: using a slash command, form, or automatically. 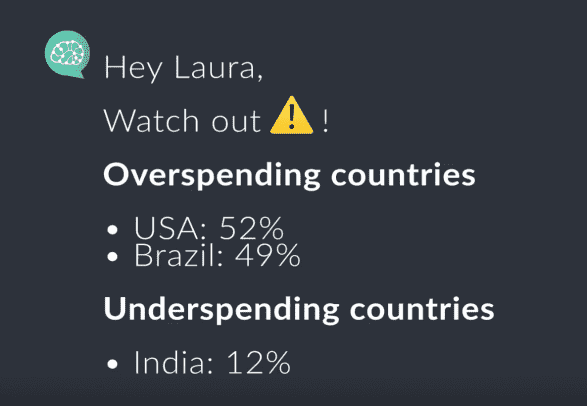 This is especially useful for marketing teams interested in expanding their campaigns to leads and opportunities outside the US. 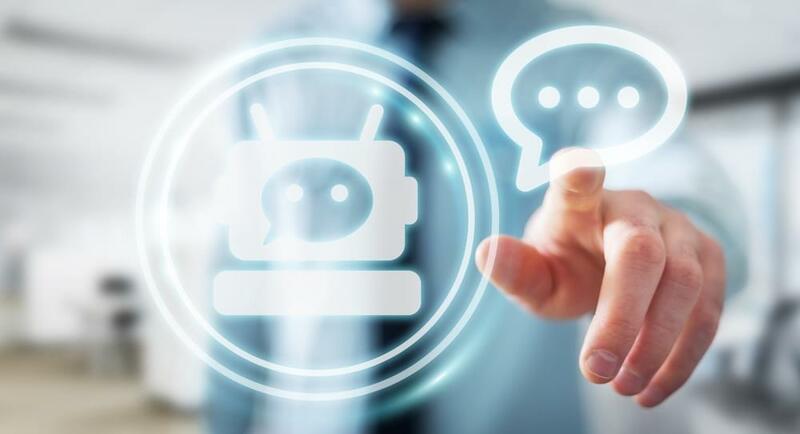 It can also help businesses with remote agents who live in other countries so agents can communicate with each other directly and seamlessly through a channel or direct message in Slack. ClearSlide is a chatbot where users can easily start online meetings that marketing agents can join instantly. Users can also share meeting and conference call info with channel members and save meeting recaps. 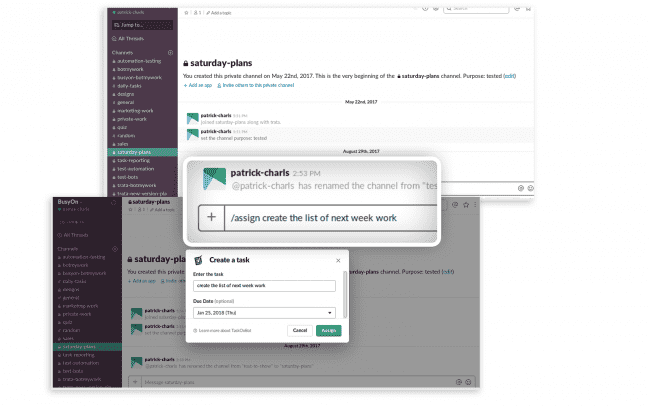 To get those recaps, Slack users can record meetings with one click. ClearSlide can also integrate with CRM software and log information there. This will help marketing agents keep everything organized so users only have to go back and forth between Slack and their marketing CRM. 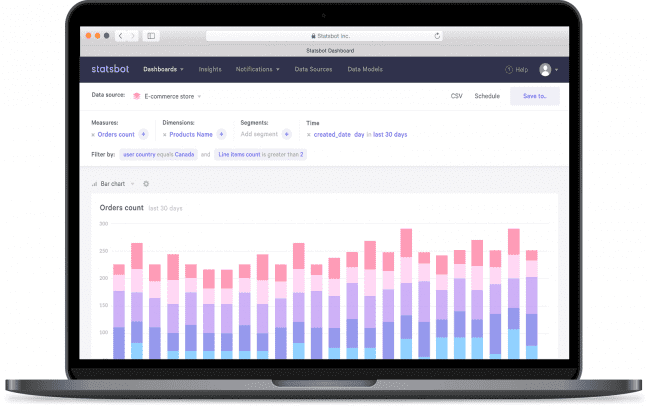 Zalster is another AI-backed Slack bot for marketers interested in monitoring Facebook ad performance through automated tracking. AI helps marketers make more accurate predictions regarding spending, conversions, clicks, and impressions. 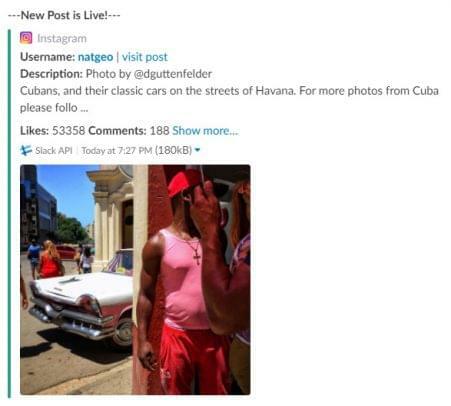 Users can as the bot to receive a report or prediction on these ads and it will send the user a report directly on Slack. This is an excellent way for Slack users to start integrating AI into their business strategies to keep up with the major business trends in 2018. 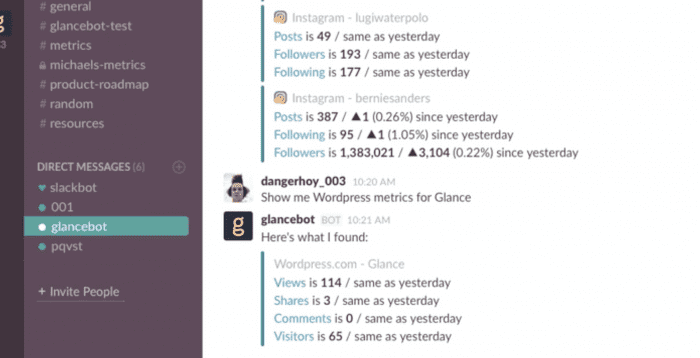 Influencer Bot is a Slack bot catered to marketing teams who use Instagram. It can customize Instagram Influencer recommendations, post tracking, and reports that are all delivered via Slack. Everything is always tracked and stored in a live Google Spreadsheet that can be accessed by anyone on either Slack or Google. 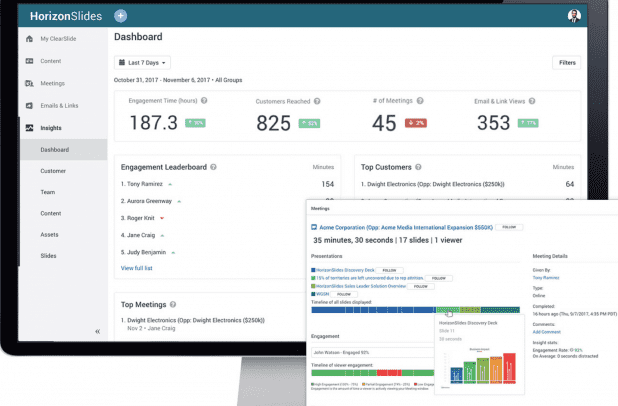 Users can also track keywords, Instagram profiles, and brand posts to see how people are interacting with your business’ marketing campaigns. Brand Climber is another Slack bot catered to social media. It uses AI for building a brand by expanding your business’ reach on social media. It can be set up with relevant topics and keywords and its machine learning system will send engagement driving content to Slack users. This is significant for marketing teams looking to figure out what gets the most reactions on social media and sparks engagement which will turn into quality leads and customers. Last, but not least, we have Zapier — arguably one of the best Slack bots on this list. It integrates with over 1,000 apps like Gmail, Basecamp, HubSpot, Evernote, Google Sheets, and Typeform. Users can check for new assigned tasks on an hourly, daily, or weekly basis, and they can send themselves a DM with a list of new tasks. It can also bring calendar events, social media mentions, or lead details straight to Slack and even move important tasks out of slack into software like Asana, Trello, or Basecamp. We’re aware that some of these Slack bots may seem repetitive in what they offer, but every business is different and very few bots are capable of handling everything a business needs. What we recommend for your business is to try out multiple bots that cover a wide range of tasks — even if there’s some overlap. 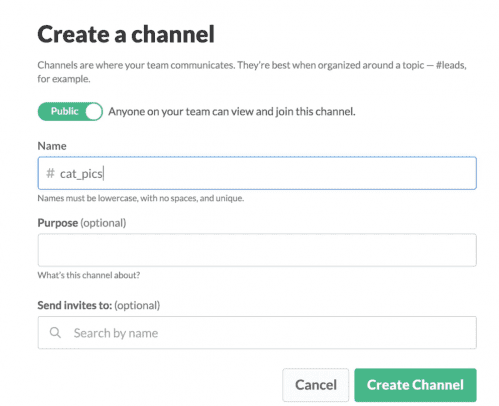 Bots are a great way to make Slack a more personalized internal communication software that fits your business’ specific needs. Slack is powerful on its own, but it still requires some back and forth between marketing automation software, and sales CRM software. These apps can eliminate the back and forth and boost user experience significantly. What matters most for marketing agents is that reports, campaigns, and contact info remains organized so agents or other software can detect patterns that will ultimately determine what the best marketing strategy is for your business. From there, communication takes the priority to ensure those strategies are carried out in an efficient and accurate manner. 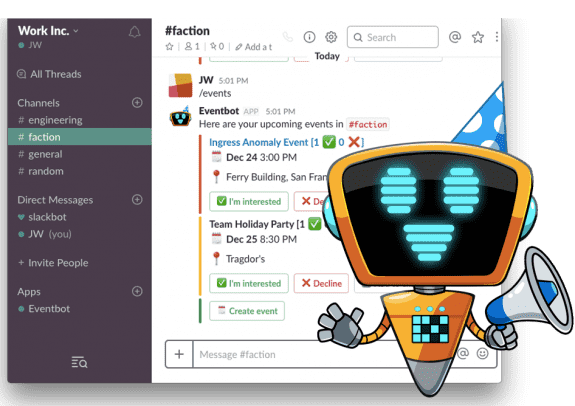 These twenty-five Slack bots are a great start for your marketing team to improve its marketing in 2018, and Slack offers many more too, so be sure to check those out too.